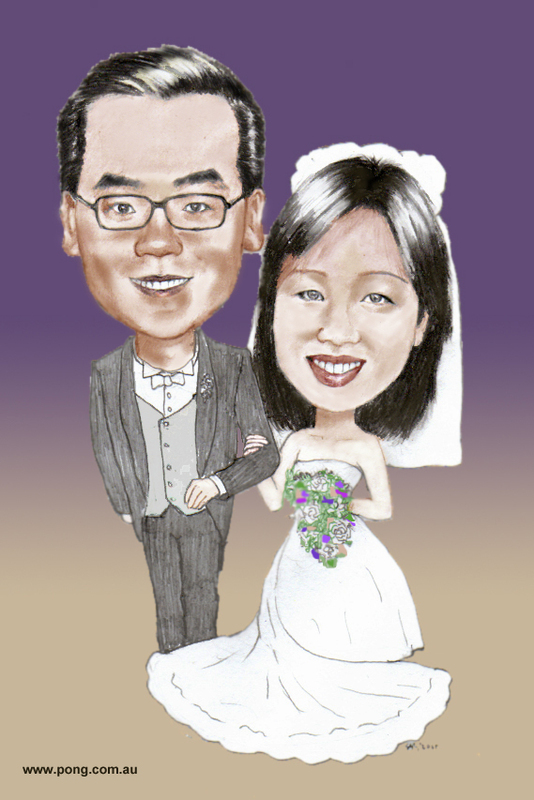 This "Raymond and Elaine Wedding" caricature was done from photo on paper. Then scanned and touched up with Photoshop. It took about 4 hrs.